Do you ever think about what you can do to beat the winter blues? Some “snow birds” head south for the winter, assuming that warmer weather is the solution. As a not-yet-retired lighting designer and architect living in Vermont, I’m looking for a local, less costly option. Besides, I like snow! I know from research being conducted at the University of Vermont Medical Center (UVMC) that Seasonal Affective Disorder (SAD) is prevalent in women but also men during long winters in northern climates. SAD has been recognized as an official medical diagnosis since the early 1980’s. This is also roughly the time when special retinal eye cells were discovered that had nothing to do with vision, but were associated with melatonin production and the setting of the body’s circadian clock. The two topics are related, although there are factors other than exposure to adequate light in determining one’s susceptibility to SAD. Fortunately, I do not suffer from SAD. I do, however, recognize a loss of energy and motivation starting around November of every year and ending as the last winter snow banks disappear. This less severe form of “winter blues” is very common. Most people are able to cope with it by getting outdoors- whether it is sunny or not- and getting a sufficient amount of exercise. This does work for me much of the time, but it takes effort when the weather turns nasty. Researchers at Renssallaer Polytechnic Institute’s Lighting Research Center (RPI-LRC) are showing how sufficient amounts of artificial lighting can be used to affect a response similar to direct exposure to sunlight. How much light? That would be another great blog topic! 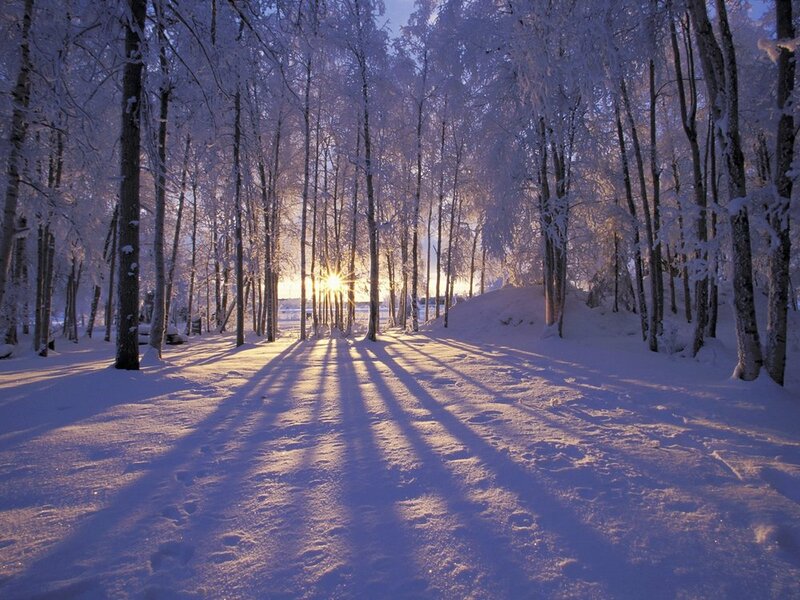 Remember, more light alone is not necessarily sufficient to treat SAD, but can be effective in combating the more common effects of reduced winter light. You may have heard the term “human-centric lighting” to describe designing spaces with the right amount and color of light from morning to night. The concept is likely going to gain in popularity as these changes are enabled by highly effective (and efficient) LED lighting and control technologies. The magic of light on a winter’s day- it can chase away the blues if you surround yourself with it. It is certainly the case that the combined daylight and artificial daytime light we get in our homes, places of work and play help affect not only our ability to get a good night’s sleep, but our general outlook during the wintertime as well. Does this surprise anyone, or does it sound obvious? So, can we beat the winter blues with light? Yep. My next blog topics will focus on lighting that can help prepare ourselves to avoid next winter’s blues. The good news is that some options do not involve spending money. For those who must be indoors much of the time, creative use of existing light sources can be part of the solution. And, for those who like to be on the cutting edge of technology, we’ll consider the growing options that are already out there.